Need an easy Valentine Card for school this year? 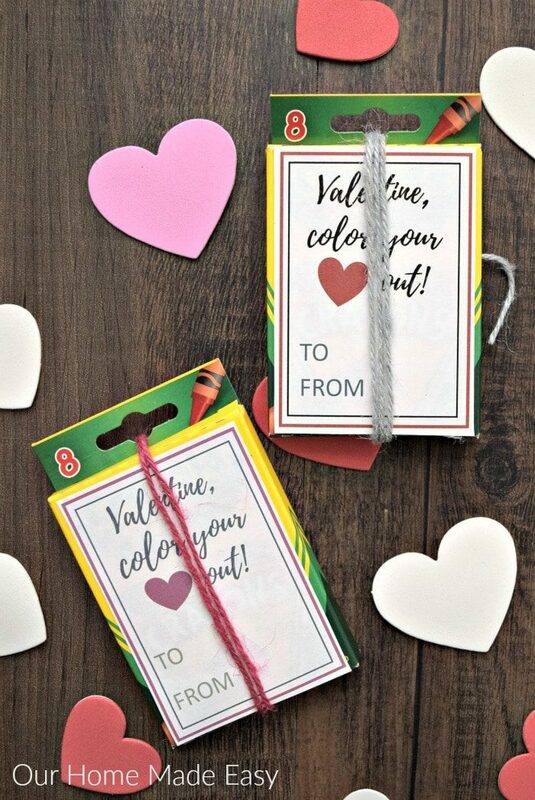 These easy DIY NON-Food Valentine Card ideas are simple to make with just a few clicks of a mouse and some scissors, washi tape, trinkets and more. 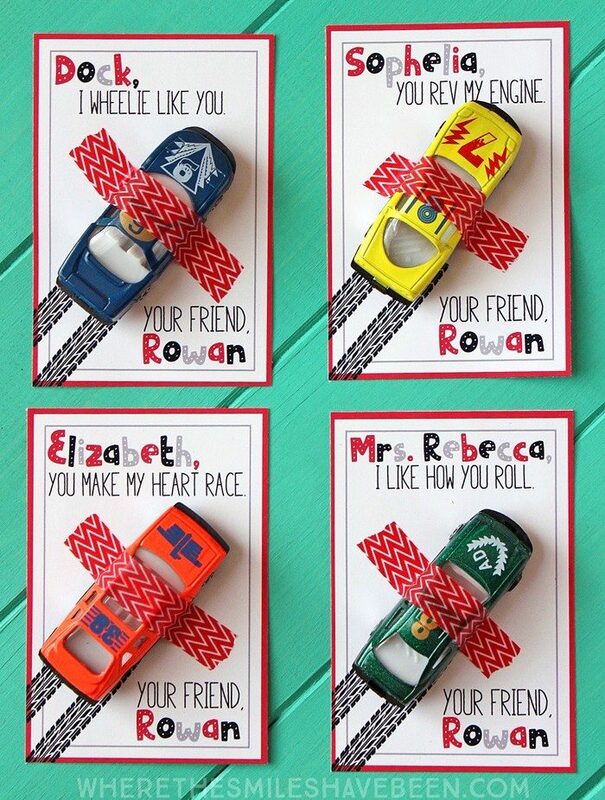 I rounded up my FAVORITE DIY Kids Valentines Cards that are teacher approved. 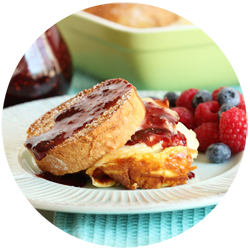 How fun is it to make homemade valentines for kids…..it’s something really special that they really appreciate. My little guy much prefers the DIY valentine cards as opposed to those we used to buy in a box at the store and these clever printable valentine cards are my favorite yet. 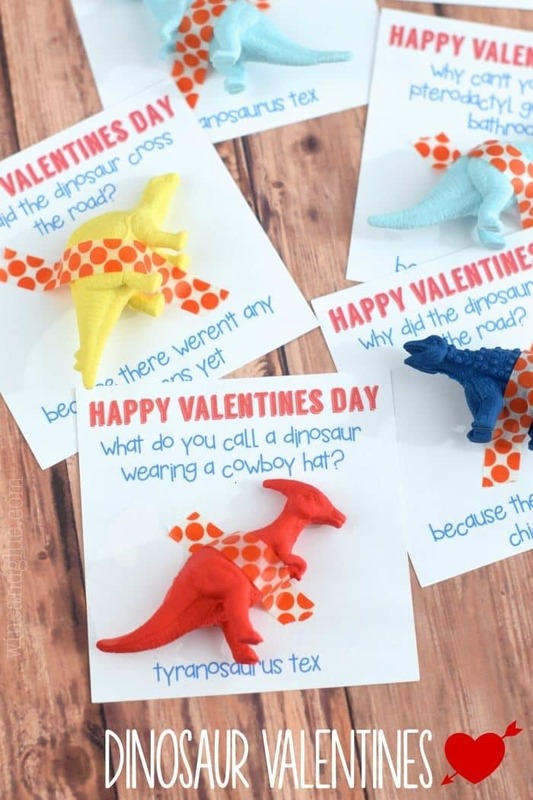 I love the cute puns and the dinosaur makes a great little Valentine gift for kids. These FREE and EASY printable Valentine cards make perfect classroom gifts for boys AND girls! Replenish EVERYONE in the classroom’s crayon stash with these free printable Valentine’s cards and a box of crayons! 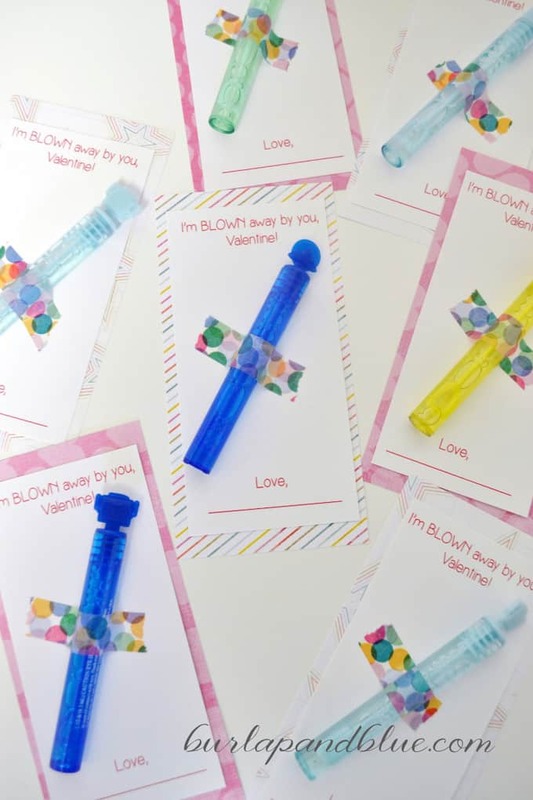 Everyone loves bubbles and this easy DIY Kids Valentines Card is a fun gift for every age. A fun Valentine craft for kids that they can play with for hours….and days! EVERYONE LOVES Legos….so this easy Printable Lego Movie Valentines will win over everyone’s heart! A great DIY Kids Valentines Card idea!! 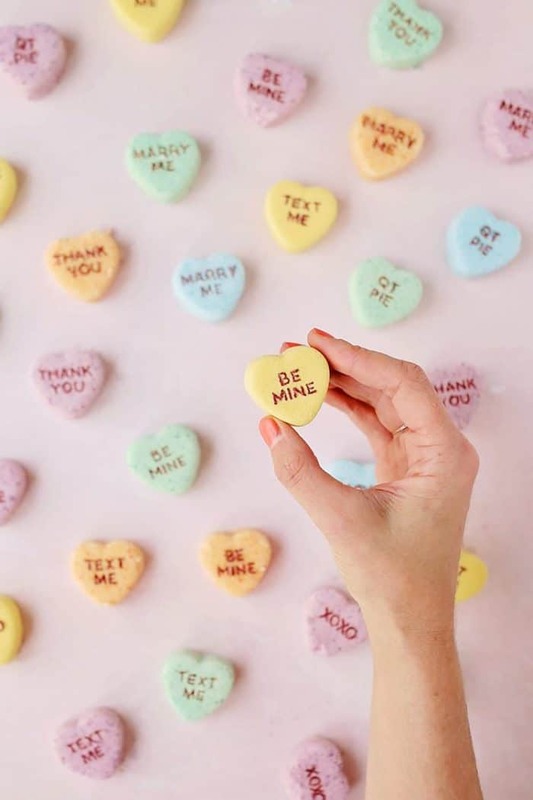 A hit with EVERY AGE….I would be thrilled to receive these DIY Conversation Heart Bath Bombs. Especially since there are no conversation hearts this year! They’d also be a great Valentine craft idea for kids to use as a Valentine Teacher gift! So, there you have all my favorite DIY Kids Valentines Cards! They’re all so easy, the only problem is how are you going to just pick one! 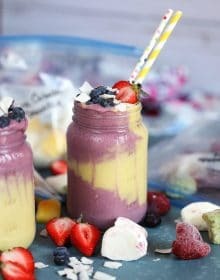 If you want a few EDIBLE Valentine treats for kids try these easy Valentine Brownies or our favorite Valentine Marshmallows dipped in chocolate!